Helping to make the dream of home ownership come true is the part of my job that I love the most. Buying a home can be fulfillment of a lifetime goal. I feel honored to be a part of that. Jeannie Paiz has been in the mortgage industry for 12 years. 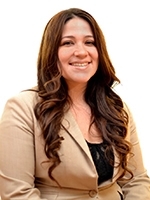 She has experience as a Loan Processor, Loan Coordinator, Junior Underwriter and Loan Originator. 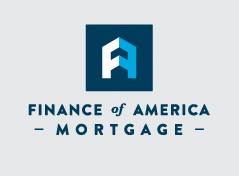 Jeannie is currently a Loan Originator licensed in PA. She has been a member of the Finance of America Mortgage team since April 2010. As a Loan Originator, Jeannie prides herself in doing whatever she can to help First Time Homebuyers achieve their goal of home ownership. Jeannie has extensive knowledge of the following loan programs: FHA, Renovation Loans, Conventional, PA Bond Financing and Homepath Financing options. Jeannie is also active in her community as the Vice President of her Condo Association and a proud mother of an honor student at Whitehall High School! 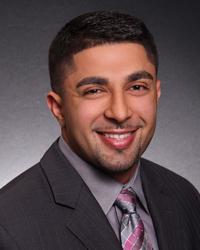 Bashir is passionate about helping people achieve their dream of home ownership. Bashir is very active in his community; he volunteers at the soup kitchen in center city Allentown and is also involved in the Community Action Committee of Lehigh Valley as an educator of finance and first time home buying. Bashir is passionate about customer service, and he will take the time to walk each client through the entire home buying process from start to finish. Call Bashir today to get started on your home loan!